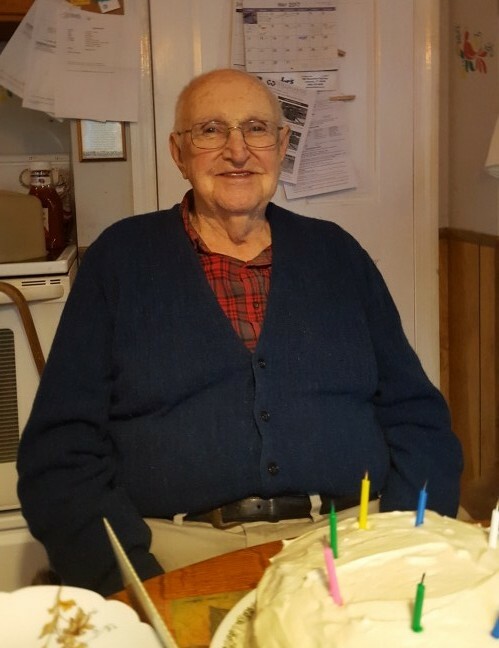 Kenneth H. Lathrop, 89, lifelong resident of Lebanon, passed away peacefully at home on Tuesday, July 17, 2018. Born in Willimantic on May 10, 1929, he was the son of the late C. Huntington and Anna (Moshier) Lathrop. Ken was a veteran who proudly served our nation in the Army during the Korean War. When he returned home from the war, he married the love of his life, Gretchen (Grabber) Lathrop in 1955. The couple shared 62 wonderful years of marriage together while raising four beautiful children. To provide for his family, Ken worked for over 40 years at Hamilton Standard as a planner. Those who knew him well will always remember him as a kind and hard-working man who enjoyed his family and spending time at the family cottage in Maine. He was an avid UCONN Women’s Basketball and Boston Red Sox fan, loved (tinkering or fixing) things, puzzles and playing card games. In addition to his loving wife, he is survived by their four children, Ronald Lathrop, Terry Halbardier (and her husband Joe), Kenneth “Kal” Lathrop (and Lisa Brown), and Jane Lathrop; four grandchildren, Steven Lathrop (and family Nickie, Gabby & Aria), Jeremy Halbardier (and family Terri, Dominic and Ethan), Brittany Halbardier, and Jordan Halbardier (and Miranda Murphy) and many other friends and family members. In addition to his parents, he was predeceased by a brother, Clayton E. Lathrop; and his beloved dog, Sadie.